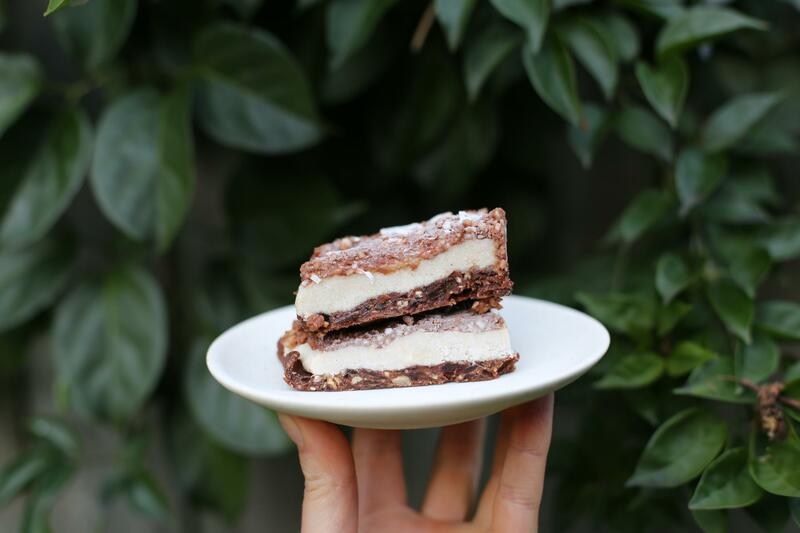 I thought I’d share this peppermint slice ASAP because not only is it utterly delicious and perfect for this weather I’ve also had quite a few people ask me for the recipe. So here it is ☼ I kept this is the freezer and eat a piece, okay maybe two, straight out of there. 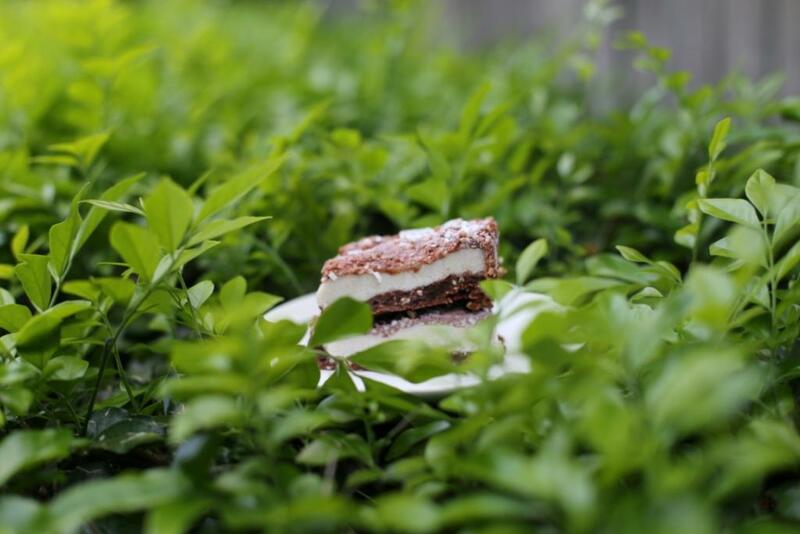 The crisp real peppermint flavour cuts through the rich chocolate like nothing else. 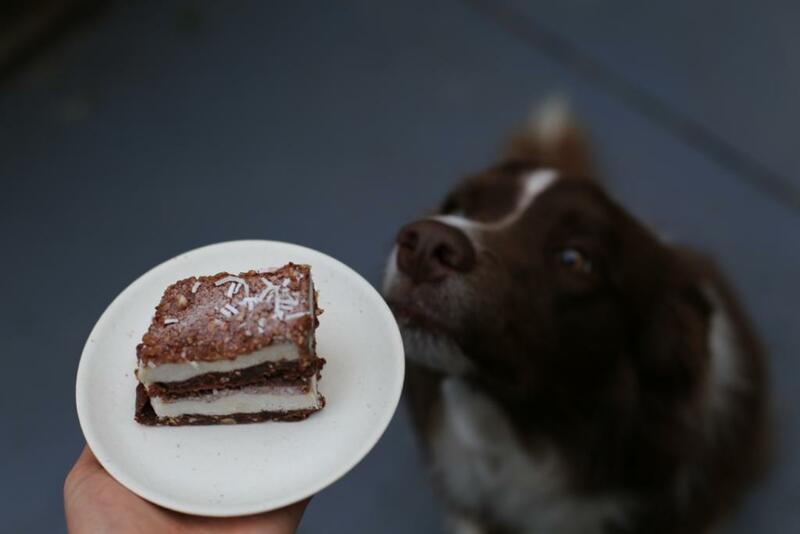 ☞ Blaze thought the choc, peppermint combination smelt pretty darn good. BROWN AND WHITE x 2, so cute. To finish off I just wanted to share this quote, it really resonates with me as I believe it’s true and by becoming a dietician I will be qualified to help people feel their best. Our body loves attention and nourishment and I believe when you give it just that it truly does thrive. Spread out evenly over the base and put back into fridge / freezer. Store in freezer for up to 2 months… if they last that long. Paradise Pantry will make this recipe for you, full of fresh and nourishing ingredients. Please fill in the following form to place an order / enquiry. PP looks forward to cooking for you! The perfect solution for people who like to eat well but don't always have the time. Please allow 2-3 days notice to make your delicious meal.